We'll center in on a warmup, followed by a light flow that leads to an open surrender to whatever kind of movement your soul calls you to. Then we'll focus back in on some balance and yin work before surrendering once again to a rejuvenating reiki-infused savasana. Connecting to what we sense and feel in our body often gets lost as a result of chronic pain, physical or emotional trauma and stress throughout our life. Regaining control of movement, finding freedom and ease in the body deepens our feeling sense and self-awareness. Hanna Somatic Education, a neuroscience based movement practice, brings unconscious muscle contraction to the conscious level. Learn simple, easy movements that teach you to trust what you feel, regain control and move with more freedom. It can be profoundly effective in supporting your yoga practice by freeing you from patterns that hold you in tension and away from a deeper practice. This gentle but powerful work is open to all levels of practice. M/s and Parkinson yoga therapy, childrens yoga, senior and chair yoga. Prenatal yoga is an excellent way to prepare for the birth of your child. We at Heart and Soul of Yoga in Astoria try to ease the transition through all the stages of pregnancy putting moms in touch with their needs, strengthening them physically and emotionally, calming their nervous system, and balancing their inner and outer worlds. A gentle asana practice brings strength and flexibility; a strong focus on the breath brings an inner awareness and prepares for the birth itself; and with such an intimate space and small class sizes we are able to offer a great deal of personal attention for students to explore their needs and ask questions. 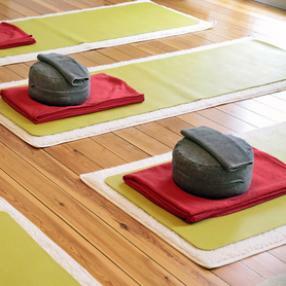 Begin and end in seated meditation, maintain a meditative mood throughout mellow slow flow. Different chakra theme each week. An individualized practice, honoring the mechanics of breathing and healthy spinal function. 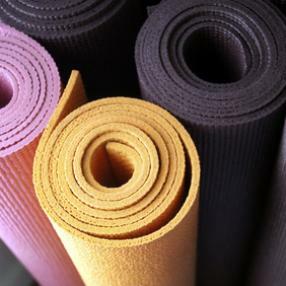 Bring your little one and practice yoga with other new parents! Iyengar yoga taught for anyone living with physical disabilities who may not feel comfortable taking a "traditional" yoga class. Poses are adapted or modified for the individual based on their specific needs and comfort level. All are welcome! One hour chair yoga to cultivate awareness, build strength and flexibility, and provide meditation and breath support for daily life. Joint mobilization, muscular strengthening, stress reduction are part of every class, using chairs, props and the wall to facilitate full range of motion. Seniors drop in rate is $10. These classes move at a slower pace, providing more detailed instruction. Emphasis on alignment and a deeper understanding of the postures. Yoga Flow is a dynamic dance of yoga postures woven together with movement and breath, and finishes with stillness, contemplation, and loving-kindness meditation. Beginner/intermediate complete asana package, with breathing, full relaxation and mediation. Free yoga for everyone!! This class is Introductory with a focus on learning foundational alignment cues for asana integrated with breathe and pranayama in order to restore the union of the body-mind while also building community. Enjoyment of our body-mind connection coupled with mindfulness tools and either a restorative or therapeutic emphasis will be tailored to the specific seasonal-based theme of the day. 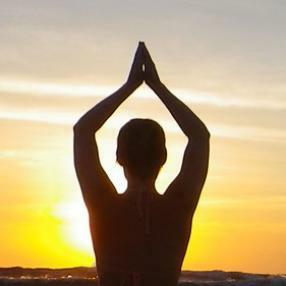 Kundalini Yoga, as taught by Yogi Bhajan, , is a great way to recharge your body. 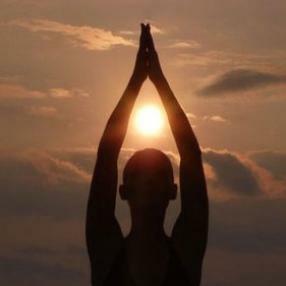 It stimulates the nervous and immune systems, improves strength and flexibility, centers the mind and opens the spirit. Kundalini yoga develops your relationship with your mental potential. You learn to use the neutral, intuitive, comprehensive mind. From your very first class you'll start reaping the rewards, which include relief from back pain, stress, addiction, depression, insomnia, and weight control. Plus, Kundalini Yoga can help keep you stay young. Everyone can do it!! Kundalini Yoga differs from other traditional approaches, in that the focus is on rapid, repetitive movements (called Kriyas), coordinated with "breath of fire" breathing practice. All levels are welcome. Intensity level is moderate to vigorous.